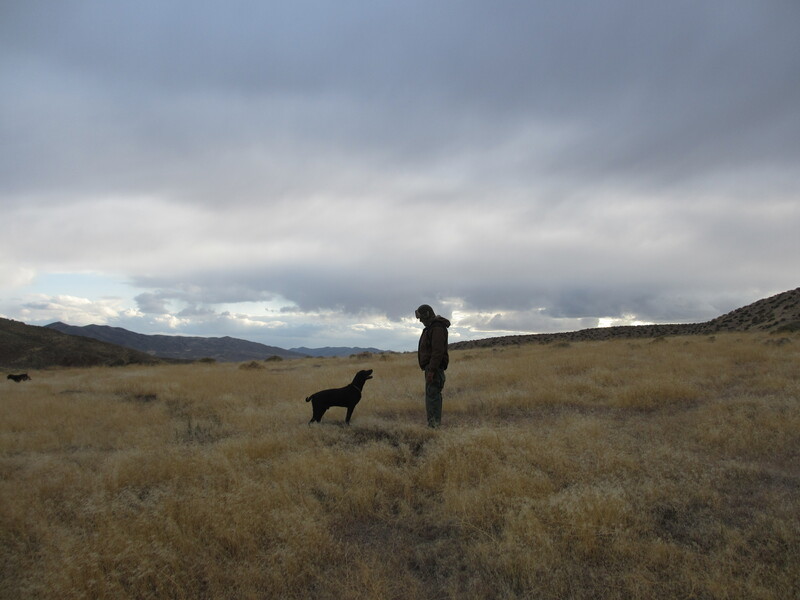 My husband and I have never traveled in the Nevada desert without our dogs. This week we lost, after a short illness, our German Short-Haired Pointer pictured in this portrait with my husband. We have wonderful memories of journeying with Choko in the desert and were hoping for many more. We are bereft at the loss of this beloved family member. I will be taking a break from blogging during this period of grief and adjustment. Please know that you remain in my thoughts and my prayers. So sorry for your loss 😦 Losing a pet is just as hard as any human. You’re in my thoughts. Thank you so much for your kind and heartfelt words. My thoughts are with you during this difficult time! We owe so much to our fellow companions. We learn how to love unconditionally from their example. I have been thinking of you all day, actually. Take good care!!! Thank you so much for taking the time to write me. I appreciate your kind words and your thoughtfulness. On several occassions Choko waited not-so-patiently in the Land Rover while my husband and I visited Thunder Mountain Monument. We love your family’s homestead and try to drop by when we are in the area. I am so sorry….I know and understand….my heart and prayers are with you…loosing our furry kids hurts so very much. I do know there are no words to say that will truly help….but know that my thoughts are with you both….you will see Choko again and right now I bet Kiah is playing with Choko:) Hugs and Prayers My Friend. So sorry for your loss. May God comfort you. Vivian, I am so sorry for the loss of your beloved Choko. My heart and prayers for healing grief follow you. Very sorry to hear your sad news, Viv. Take care. I’m so sorry for your loss. This is heartbreaking. Thank you Edith. I so very much appreciate your note. It’s so hard to lose such a special friend. May God comfort you as only He can. My prayers are with you and your husband. Hang in there. Your broken heart is already bound with His tender, loving care and your need is already met by His abundant love. Yay, though I walk through the valley of the shadow of death, I will fear no evil: for thou art with me; thy rod and thy staff they comfort me. We are praying for peace for you. Very sorry to read about this i will pray for god gives peace and rest of mind . So sorry to hear your sad news, Viv. I will hold the three of you in my heart. God bless. You and Choko are in my thoughts, prayers and virtual hugs. Maggie was rescued and joined our family almost eleven years ago, and life without her would be grim, a missing piece of our hearts. I am so sorry, truly. Thank you for writing such a beautiful note, Marilyn. It’s amazing how precious they are, isn’t it? Like your Maggie, Choko was also rescued. The day we picked him up and walked him to our car, he literally jumped into my husband’s lap. He remained a lap dog, even full grown at 55 pounds. I deeply appreciate you taking the time to write me. Dear Vivian, it was heart-wrenching when my family said good-bye to our family labrador Buckley. I cried so hard. You and your husband are in my thoughts, and hope the memories of your beloved friend Chomko keep your hearts warm during these times of missing him. The loss of a dog can be overwelming in sadness. But they are sweet to remember. Sorry to hear about Choko’s passing. I am sure you will continue to have many fond memories, just as Choko will have fond memories of the time he spent with your family. Dear Vivian, I’m heart broken to learn about your loss. As an animal lover, I can easily understand the difficult phase that you are in. It’s akin to losing a family member. May Choko rest in peace forever. Will pray for you, your family and for your dear Chicko. (T_T) I think i understand how you feel , losing some one precious . i’ll pray for ” CHOKO” .